In the world of headlight technology, things move pretty quickly, but people don't really notice. Traditionally, you got halogen headlights and nothing else, but today, there are loads more options, including xenon and LED lights. Most people know (from school days!) that LED stands for Light Emitting Diode, but do you remember how they work? In very basic form, an LED is a semiconductor which emits light when a current is passed through it. They don’t require much current to illuminate, and therefore don’t require much energy from a car’s battery and engine. Compared to a halogen headlight which is 20% efficient with 80% of the energy wasted as heat, an LED light is 80% efficient with 20% wasted as heat. Each LED itself is very small, so what looks like a single bulb on a car is made up of several small LEDs. For that reason, car designers can also sculpt the necessary array of LEDs into fancy shapes, which is giving them scope to create exciting looks for their cars, especially with daytime running lights (which are lights automatically on when a car is driving to increase visibility). What are the advantages of LED headlights? As well as producing a whiter light than a halogen bulb, LED lights use much less energy – which leads to better fuel consumption and lower emissions – and last much longer. In fact, LED lights shouldn’t need to be replaced over the lifetime of a car… they don’t have a filament like a halogen bulb, so there’s nothing to burn out. LEDs are also more efficient than xenon headlights, and the light is less of a strain on your eyes at night because it’s close to the tone of natural light. As the light produced by LEDs can be directed accurately, car companies can do all sorts of clever things with LEDs. 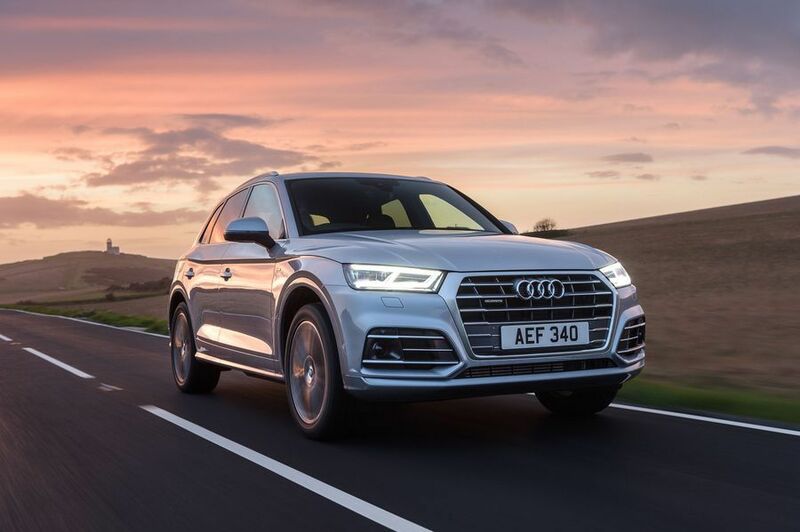 Audi, for example, has a sensor in some of its top-of-the-range cars that means you can leave your main beam on, even when traffic is coming the other way. The system deflects the light beams to reduce glare for other drivers. However, as with HID lights, one of the main issues with LEDs is that they cost more than halogen bulbs. You used to only find LED headlights in luxury cars, but increasingly, other car manufacturers are introducing LED lights into car ranges. Eventually, they will likely become standard. Despite the name, these aren’t actually ‘xenon lights’. Technically, they’re metal-halide lamps that also contain xenon gas. When you turn them on, they take a little while to reach full brightness, and the xenon shortens that time by giving a minimum light straight away. You may also read about bi-xenon lights, but the only difference between those and plain xenon lights, is that bi-xenons use xenon lights for both full and dipped beam. 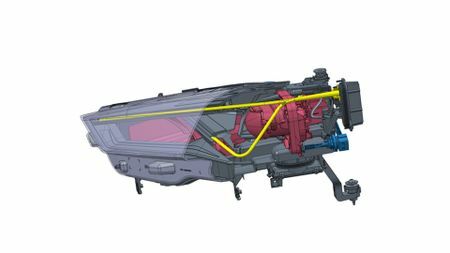 How do xenon headlights work? In contrast to traditional bulbs, in which a filament glows in a gas when an electric current passes through it, xenon lights have two electrodes, and they ‘charge’ the gas between them. That’s what gives off the light. And, that’s why you may also see lights such as these referred to as HID (High Intensity Discharge) lights. The result is a white-blue light that is between two-three times brighter than a halogen bulb. 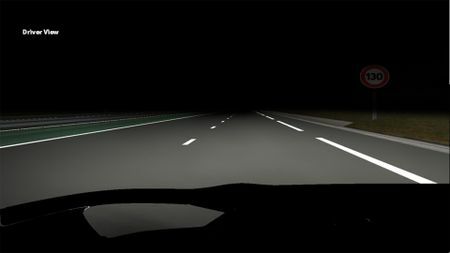 That means not only does it light the road further ahead, it also gives better visibility in the dark and in poor weather conditions. What are the advantages of xenon headlights? As well as the better light, xenon lights also use less energy than halogen bulbs, and because they have no filament to wear out, they are longer-lasting. Are there any disadvantages to xenon headlights? Xenon lights are more costly and complex than traditional halogen bulbs, and that means they tend to be limited to more expensive, top-end cars. They can also only be replaced by a qualified technician, whereas a traditional halogen bulb can be changed by anyone. While the first horseless carriages used carriage lamps and candles for light, it was quickly realised that this wouldn’t be suitable for speed. Headlamps were first introduced in the 1880s, and fuelled by acetylene or oil, which had the advantage of being resistant to wind and rain – unlike candles! Mirrors were placed behind the flame to focus it forward, but the beam wasn’t very accurate in the daytime, let alone at night. Car manufacturers started to develop electric headlights in the early 1900s. At the time it was difficult to create a dynamo which was small enough to fit in the car, and still produce enough power to produce an effective light. Early companies managing to introduce electric lights included Peerless, Pockley Automobile Electric Lighting, and Cadillac in 1912, which integrated its electrical ignition system with its lighting setup. Sealed beamed lights were introduced in the late 1930s. These used a lens and filament sealed together, and a parabolic reflector. Although this system gave a more focused and brighter light, it required a lot of power, and still only produced a small amount of light. The filament also left black residue on the glass, which meant the lights were even less bright. Halogen lights came to be in the early 1960s, when the first vehicle-mounted lamps were produced in Europe. And these are still in use in a lot of cars today. 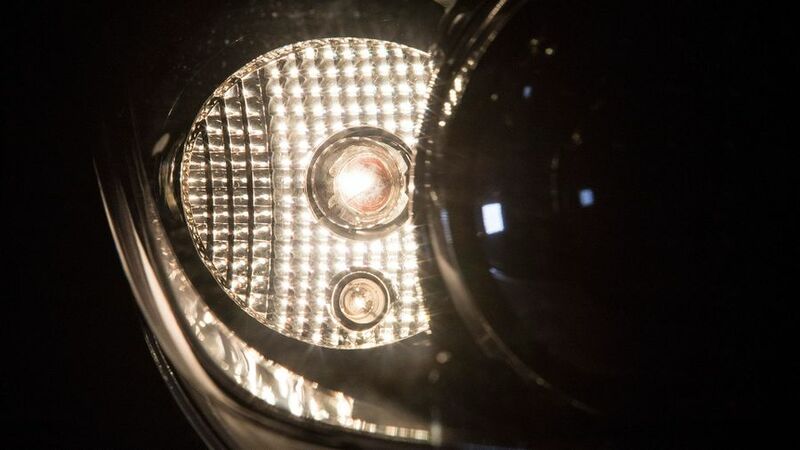 What are halogen headlights and how do they work? 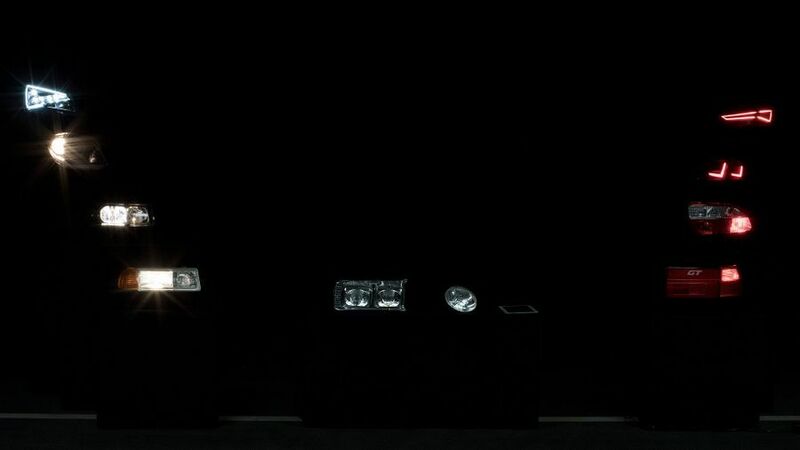 Halogen headlights are probably the oldest technology you can get in a new car today. They comprise a glass bowl, filament and gas. When current is passed through the filament is gives off light. Halogen gas is used in the bulb to keep the bulb staying brighter for longer. The gas prevents the tungsten filament blackening the surface of the glass. While they’re cheap and easy to replace if they break – you can do it yourself in most cases – they’re not as energy efficient as LED or xenon lights, which does affect fuel economy. They’re also not efficient in themselves – around 80% of the energy from a halogen bulb is waste heat. And on top of that, halogen bulbs do break from time-to-time, rather than LED technology which is expected to last for the whole lifecycle of a car. Headlights might be something every car has, but have you ever thought about how much work has to go into making them? 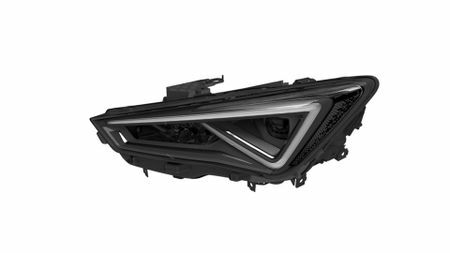 Tony Gallardo, design leader exterior components at Seat said, “At first we didn’t have much to do, but as time developed, the introduction of design in light illumination has become more important.” Today, Seat’s headlights take around three years to design and build! 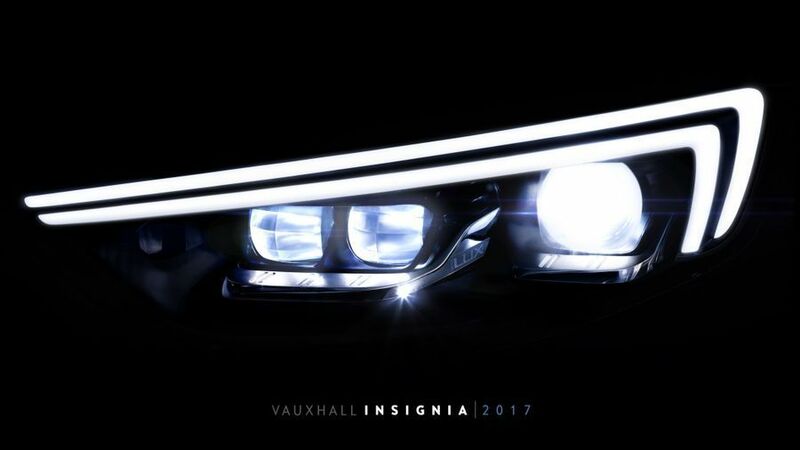 From a design perspective, headlights are a key part of a car’s character, but have to be developed with engineers and designers working closely together. Many car manufacturers now have a ‘light signature’, which is a design you will see running through a company’s entire range. Seat’s ‘light signature’ is a triangle. But that triangle has to evoke different things in different cars. “The Leon was a big step for Seat as it was the first of our cars to integrate triangles into lights, as well as being the first car in that segment to have full LED lights. In our other cars, the Alhambra is not so dynamic, while the Ibiza is more young and fresh. The lights are the character of the car,” Gallardo said. Designers work with engineers from the very start, and there’s plenty of back and forth. There has to be a compromise between cost, and the final product. And quite often, the lights will differ across a car range – a basic car might have halogen lights, whereas LED or Xenon lights are found further up – so all this has to be taken into consideration. “We still have to create a good product that works at a lower level. It might not look quite as fancy, but it still has to work. We’re designing the basics as well as the high-end products,” Gallardo said. Initially, designers and engineers sketch plans for car lights. The next step is to build exterior 3D designs with no LEDs, before moving onto building LED models with all the electronics in place. It’s important to protect the LED chips, and engineers have to factor in both fan cooling and radiators, to deal with the heat coming off them. From here it’s onto CAD (Computer Aided Design), and first renders. To show how the lights will work, without building them first, Seat runs computerised simulations. These show all the necessary information, including light distribution over different distances. 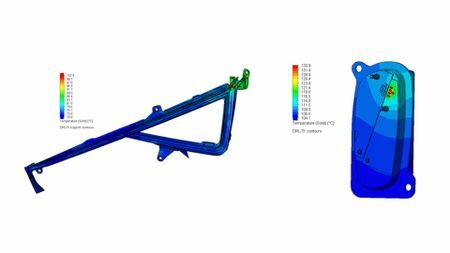 In total, Seat runs around 300 simulations. Once everything has passed the simulation stage, engineers build mock-ups of all the lights, which are close to the finished article but not quite there in terms of quality. It’s then on to static and dynamic tests. There are so many factors to consider, including the fact the light beams have to be asymmetric as not to dazzle other drivers. In the UK, the light beam is angled down a bit on the right-hand side, and in Europe, it’s on the left. The lights are also tested under extreme temperatures, both when they’re fixed to the car, and as separate components. 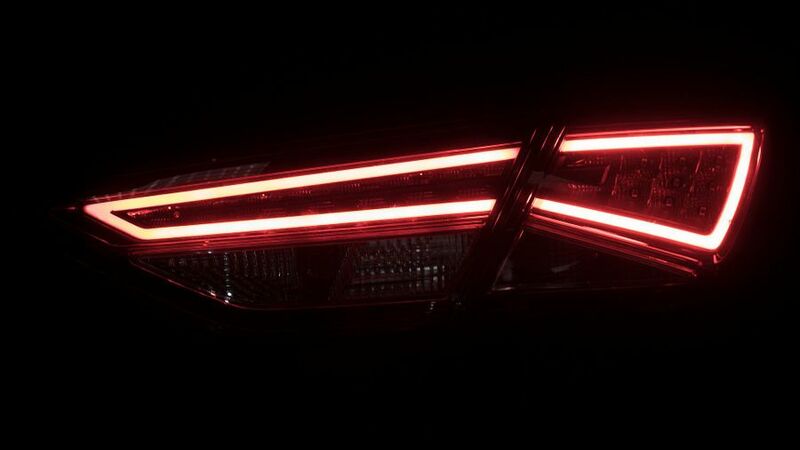 Seat has introduced some clever lighting tech to its latest cars. In the Seat Tarraco for example, there are sensors in the axle that send signals to regulate the angle of the lights as the weight changes. And there’s some other clever technology in there as well. If the car travels at 70mph for more than 20 seconds, the lights angle up a bit. The driver won’t be aware this is happening, but it gives them increased visibility, and won’t dazzle oncoming traffic. As lights have evolved over the years, so have the tests. They’re now completely different to when lights were big bulbs rather than tiny LEDs. Lights are now an electronic component. In terms of history, LED technology is still relatively new, and car companies are now looking at and exploring new functionalities for LEDs, and how they can be incorporated. For example, as dynamic indicators. Who knows where the technology will go next, but it looks like there’s a lot more that can be gained from using LEDs.